Report of our fifth group visit to the USA in November 2016. In November 2016, a small group of 6 people went to the United States for ten days of “sun and fun”. 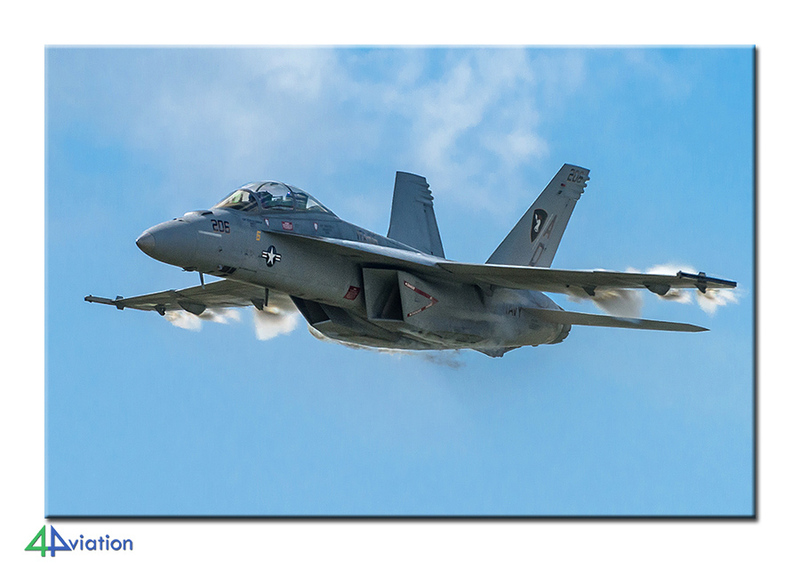 The program included two air shows and a number of visits to training fields for both the Navy and the Air Force. Combined with the beautiful weather this was again a guarantee for a successful trip. On the early morning of Friday 4 November, most of the group stood ready at Schiphol Airport in the starting blocks for the outward journey: via Madrid to Miami. One group member had arranged the outbound and return flights himself and we would meet him at the first hotel. The entire US Immigration process is now largely automated with self-service columns, but that still does not work so smoothly and yielded more delay than time savings … Getting our rental car appeared to go very smoothly in Miami, until at the exit of the garage when it appeared our car was not suitable for rental duties…. and so we could load our luggage into another car and were on our way with a fifteen minute delay. Sloppy that we could choose that car in the first place. Meanwhile, the evening rush had started and it took some time and effort to cross the busy traffic towards our first destination: Homestead. The Clinton / Trump election campaign was in full swing and we noticed several small gatherings of supporters and people who already stood in line to cast their vote in advance. The traffic in direction Homestead remained busy so we arrived a little later than planned at our motel for the first two nights. The fatigue after the long journey caused everybody to miss the preserved F-4 Phantom where we drove along at no more than 20 meters away. In the dark, although …but anyway. Saturday 5 November, was completely dominated by the “Wings over Homestead Open House and Air Show 2016”, so up early and on time in line at the main gate. But a real row appeared not to be there and so we were almost at the front, twenty minutes before opening. We asked to confirm that it was ok for us to take our photo bags on the airfield. At the stroke of eight o’clock we were welcomed by a member of security and we could go through the bag check. Which was at that time of day still quite strictly so some had to clean out all their bags and bags. After this little hurdle we had to choose between walk to the ramp, or waiting for a trailer truck with a pickup “train”. We chose to go walking as we did not want to miss anything on our way out there. It proved to be a brisk 10 minute walk, no wonder no American chose this option! Nevertheless we were one of the first visitors on the ramp. The static show turned out to be quite small, but the quality was good, including a B-52 and B-1. Typical American mostly without fences or ribbons around it, always a challenge for the photographer. Part of the ramp was not accessible, here were all the aircraft likely to fly, mostly warbirds. 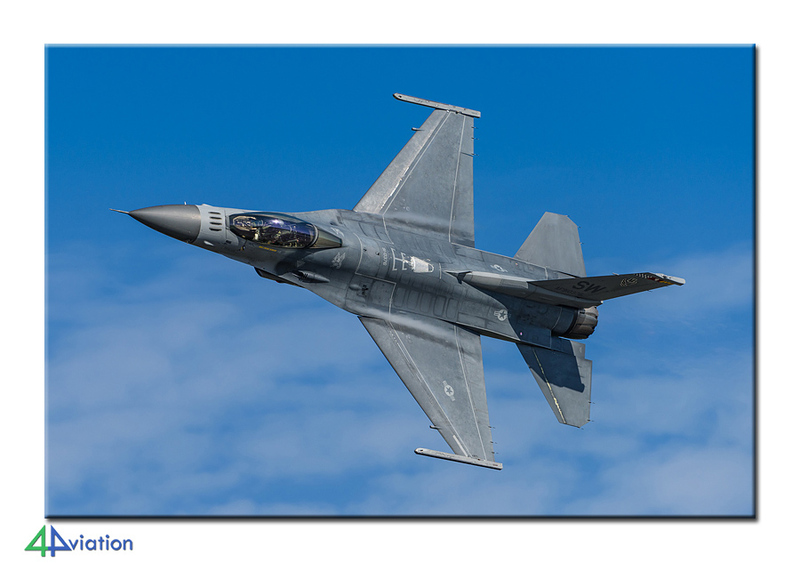 The operational based F-16s were not visible, unfortunately, too bad for those who are also interested in tailnumbers. Also unfortunate was full backlight toward the runway, which was quite a challenge to the photographers. The show began with a demonstration of the US Army Golden Knights para demonstration team, including their beautiful Fokker C-31A Friendship. Many waving of flags and patriotism music and talking over the speakers of course, which would stay during the better part of the day. It just all part of the current US … Four local F-16s did a base attack, with lots of smoke and fire but they were quite high and far away. And as already mentioned, with only backlighting. 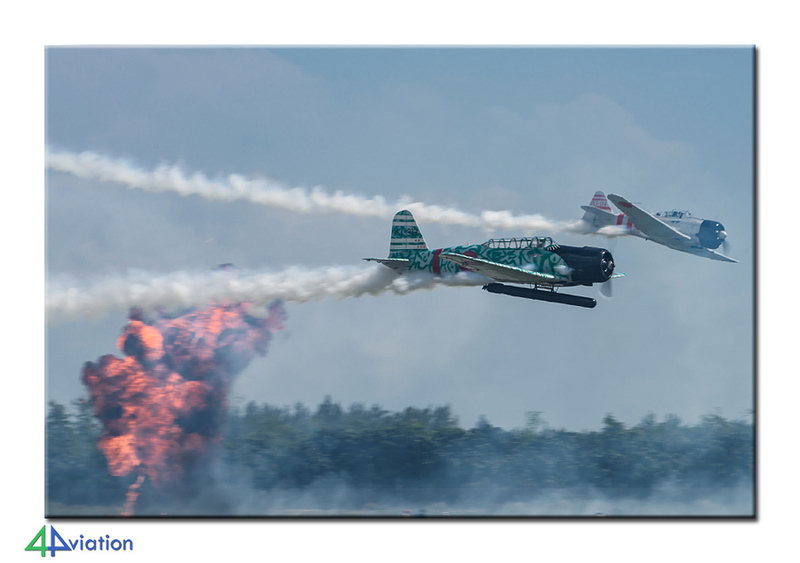 Then the show alternated with lots of (civil) stunt planes and warbirds. Entertainment was there for sure, high-flying skills and lots of explosions and smoke. Not only in the air but also on the ground thanks to “Shockwave”, a truck powered by three jet engines with afterburners. Amongst them we were treated by the military to a Border Patrol UH-60, Navy Super Hornet demo, and, of course, the USAF Thunderbirds. Unfortunately, the beautiful weather turned to gray clouds and heavy showers in the afternoon, and two of them, unfortunately, we did not escape. The Thunderbirds were happy between the rain showers still doing their “low clouds” show to the public that had decided to stay for a while. During the second downpour, by which time most of the audience had already “fled” and we sheltered under one of the last still flying C-5A Galaxy, a C-17 arrived for the static display. Then we started to walk back to the gate and our car. On the way back to our hotel we took a few pictures of the F-4 we had missed the night before. Sunday 6 November, was day two at Homestead, even though we already had decided in advance not to stay all day. We were, again, early and stood in front at the entrance, the bag check now went smoothly (it’s better to have all your stuff in one bag instead of over ten), and we decided to take the “train” today. Once at the static we rushed to the aircraft of which it was impossible to make a decent picture the day before, including the B-1 and B-52. Around noon we called it a day and we took the train back to the gate. The supervisor on this train apparently lost her sunglasses so we had to make a little detour looking for them. This gave us the pleasure of a short peak on the operational ramp. Not good for the photographers, but good enough for the numbers guy. The ultimate goal of this day were the southerly Florida Keys, but we first drove a bit to the north, the “Wings over Miami” museum at the Executive Airport Miami, which formerly was perhaps better known as Kendall-Tamiami. This is mostly a “flying” museum, which means that almost the entire collection is flight worthy and private property. Part of the collection was present, and even flew, on the air show at Homestead, but despite that the hangar was still reasonably filled. The (obviously no longer airworthy) F-14 Tomcat was unfortunately standing in a corner not very photogenetic, despite the use of a pair of stairs. After Tamiami it was of to the Keys, a journey of about two-and-a-half hours. Our hotel for the night was in the town of Marathon, halfway through the Keys and just steps away from the local airstrip. Here we found a Beech C-45 in a kind of museum (unfortunately closed and no one in sight) and a Cessna 172 in fake US Army colours. Evening dinner was again fine and we enjoyed a couple of drinks with the group. It was not possible to arrange a base visit on Monday 7 November, that is why we had to try our luck from outside the fence. Anyways it was fun to spend some time in the Florida Keys. As the name suggests, the “Overseas Highway” runs for the bigger part on stilts over the sea between the islands. And with the sun and the blue-green waters it was a pleasure to drive to Key West. The view on the naval airfield is not one of the best around: there are three runways from which to choose (obviously depending on the wind) and few places with a view of the runways and ramps. Not the best runway was in use and after some searching and trying out we found spots in the approach and take-off, all not very spectacular. Good for the numbercrunchers but even more painful for the photographers were the F-35C’s Navy / Marines who were temporarily based here: the pictures were not that great. And that was true as well for the F-5’s, F-18s and other aircraft-based and visiting. Overall fun watching, photographing less fun. For the next time we need a base visit, or at leats a different runway in use. Around half past two it had become time to drive back to Miami as we would fly to Atlanta in the evening. The weather also seemed to turn bad in the afternoon, so a timely departure from Key West was not a big disappointment. Despite the heavy traffic we were just on time at the airport in Miami for a visit to the technical school which is just outside the airport. There were still students at work and after some friendly asking we were allowed to use the restrooms and photograph the aircraft. We the filled up the car, handed it back to the rental car company and checked-in for our flight to Atlanta. Again, the automated check-in was not a great success. Luckily we had no great hurry, plenty of time to grab a bite to eat, and then (good timing!) board the waiting plane. The first part of our trip there was already behind us. We landed at Atlanta around midnight, Tuesday 8 November. You are, of course, hoping for a speedy service to sit in the “new” car as soon as possible on the way to our hotel for a short stay anyway. Unfortunately, not only did we have to wait for our luggage quite long, but also picking up the car, again, proved quite an adventure and a challenge for the tour guide. At around midnight the immense Car Rental Center appeared to be extinct, and please note that we are talking about one of the busiest airport in the world! A self-service kiosk (not yet another one!) and a video interview with Jim from the rental company seemed to offer a solution, but after much humming and hawing the foreign driver’s license apparently was still a hitch. Eventually, after a lengthy delay, we got a car in the garage itself. Nearly we thought we were on the road … but no … when we were about to leave the parking lot this car also was not suitable for rental duties and we had to go back and load our gear in another car. Sigh … And so at about one thirty in the night we were on our way. Now we had the luck that we were at passing the state border between Georgia and Alabama and gain an hour due to the different time zone, so arriving at the Motel 6 Oxford (Alabama) just before three, which felt still “reasonable”. In all fairness we have to say that along the way we unanimously decided to visit two Wreck & Relics locations which brought us not only a Huey, nut also no less than three F-105’s! The night was very short … but no time to think about it as there was lots to do this Tuesday. After an early start we first drove half an hour to Birmingham (Alabama). 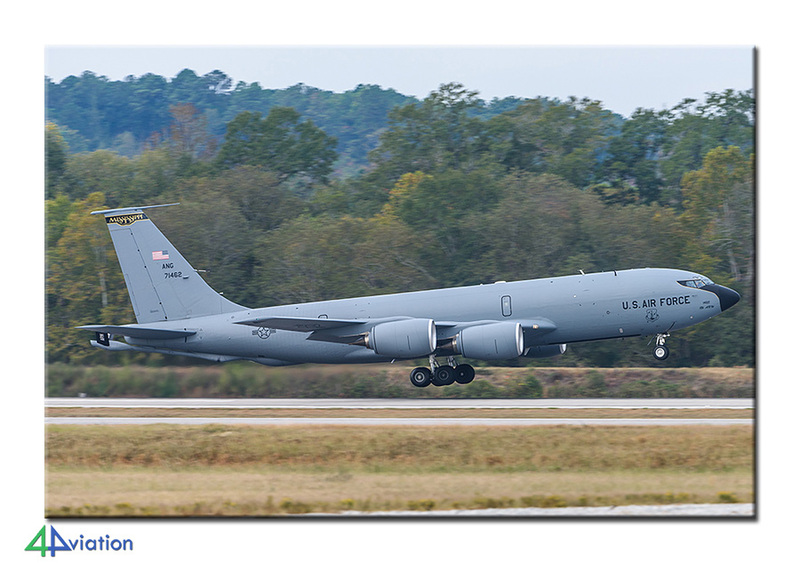 Here we have a short look at the military part of the airport (KC-135s), but we were here mainly for the museum. Fortunately, most of the collection are outside, and was photographed from two vantage points before the museum doors were opened. There was not a lot of time and we had to hurry to see and photograph everything. But that went just fine and at the scheduled time, we were already in the car on the way to our first base visit of the trip: NAS Meridian. Here we had a fairly short but much appreciated visit. The ramp with sunsheds appeared completely empty, with the present T-45 Goshawks being parked further on the tarmac. A huge sinkhole on the ramp was the cause for this. 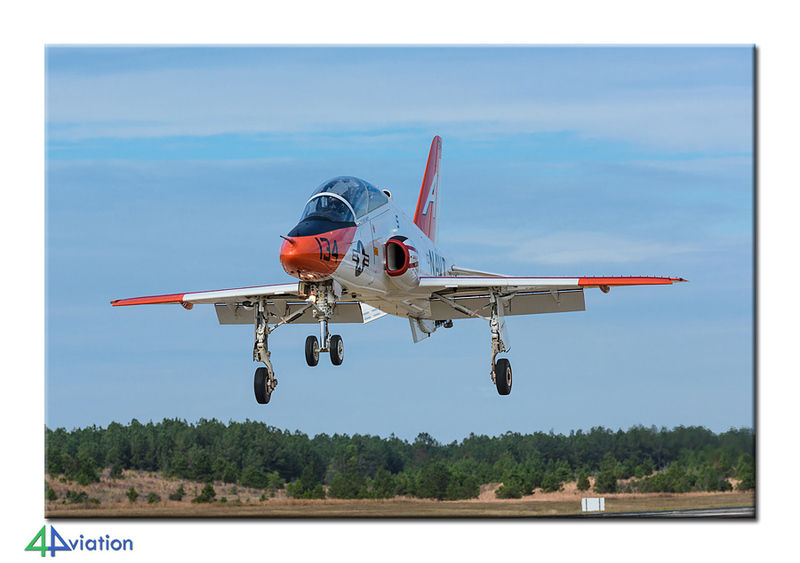 Our guides also wanted to take us to the touch down point of the active runway to photograph the landing T-45’s. This was much appreciated and was just really cool to see. The explanation on the landing system with lights and mirror (the same “ball” as used on aircraft carriers) was very interesting. Unfortunately we could not stay there very long, and after a few landing T-45’s we had the leave the airfield, with a final stop at the preserved aircraft. The new Public Affairs guy unfortunately was less indulgent when it comes to visiting the hangars. Nevertheless, a great and informative visit! 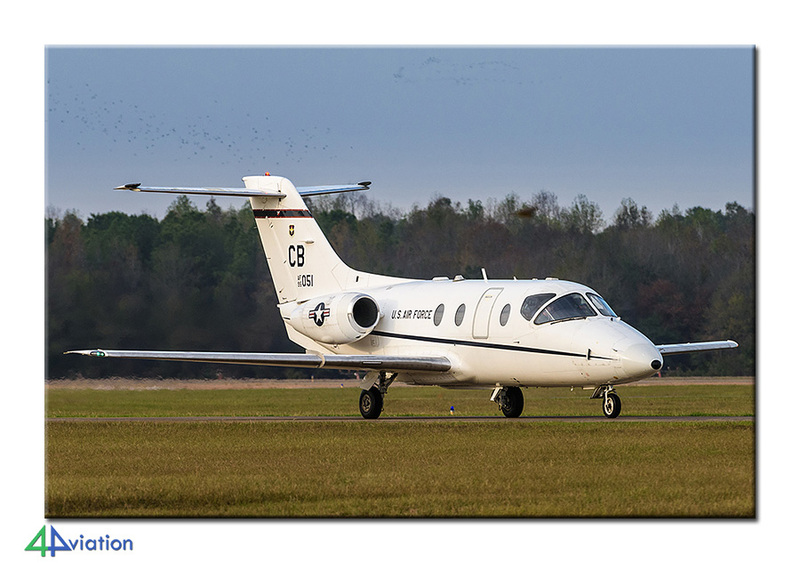 We spent the last few hours of daylight at another airport in Meridian, Key Field, where not only KC-135s and Chinooks are based, but also very regular T-45’s come to visit and training aircraft from Columbus AFB practice approaches. In addition, the typical American trains pass close by, which was also appreciated by some in the group. 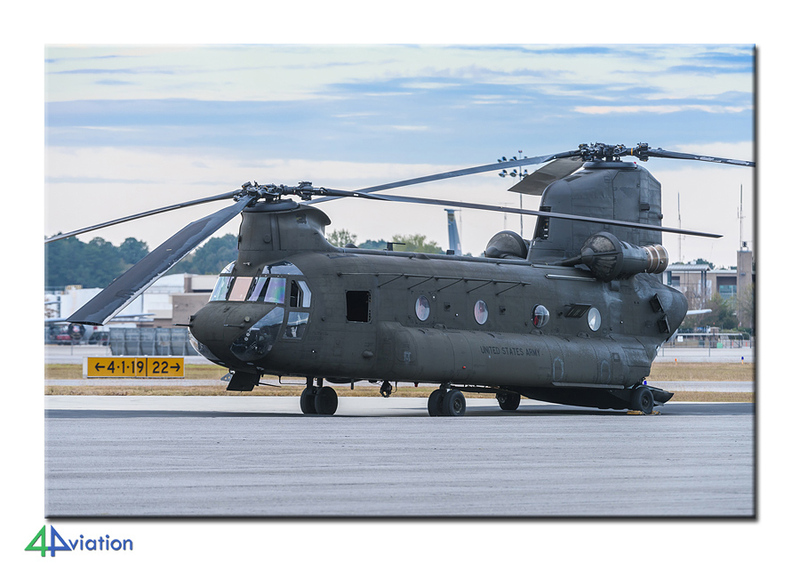 A returning Chinook surprised us by landing on the civil apron instead of their own (and much less accessible). The night rest was more than welcome during this night. On Wednesday 9 November there was no time for a lie-in, but we also were not in a big hurry. 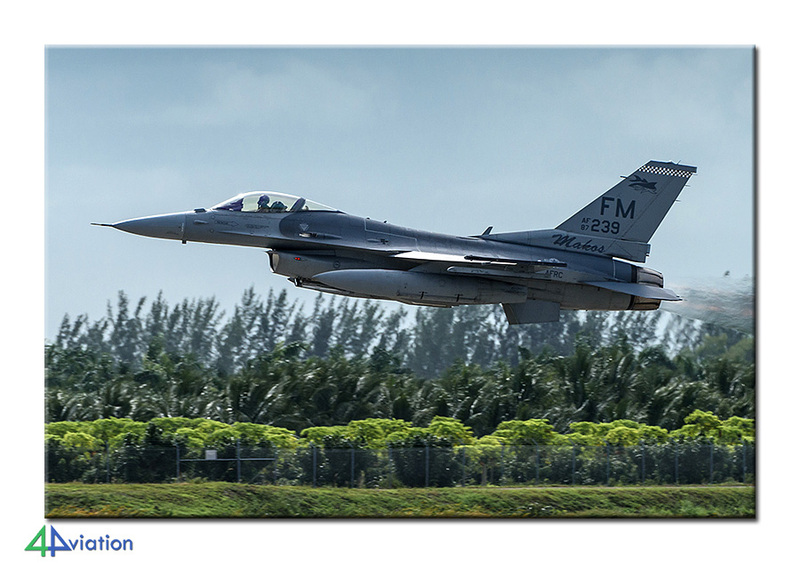 We wer expected at Columus AFB in the afternoon so spend most of the morning at Meridian Key Field. Now there were even six visiting T-45’s on the civilian side, one in special colours with a shark’s mouth that was beautiful to photograph. Furthermore, we were also treated to a departing KC-135, and T-45s, a touch-and-go of a T-1 and several T-6s who made approaches. At the gate of Columbus we had to wait for our guide, and then it is quite frustrating to see the low flying T-6’s, and the T-38’s a little further away. Luckily this inconvenience was worth the wait, because once our guide had arrived she did not disappoint us. After walking along the T-1 flightline we spent time at the specially displayed T-1, T-6 and T-38. The base gets so many visits that it is easier to park just one of each type for all visitors to inspect and in the case of T-1 also have a look inside. We were obviously much more interested in pictures. 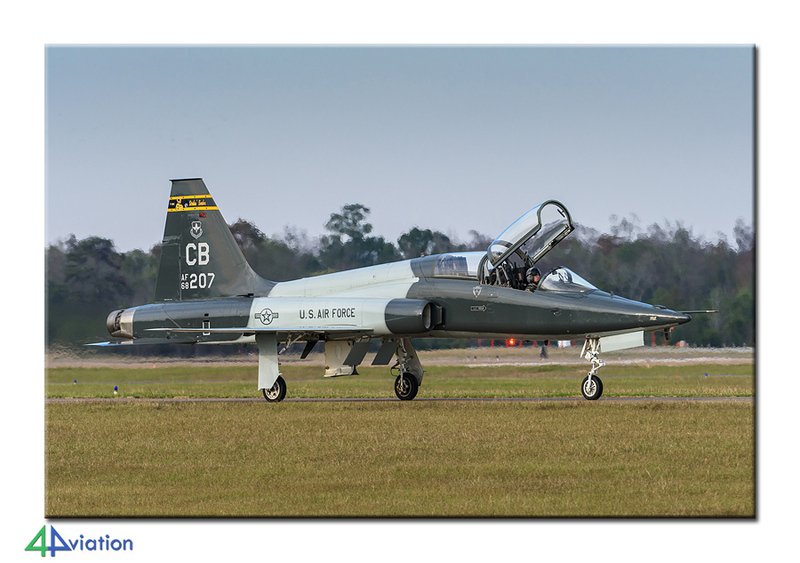 We had to work hard at Columbus, because not only there was a lot to photograph on the ground, but also taxiing aircraft and some T-6s overhead were a great catch for our camera’s. We walked the full length of the flightline, along all sunsheds after which we were dropped at the end of the runway hoping to catch some aircraft action while were passing by. Unfortunately, this only happened while we were in the van to and from this location… Who happened to be in the van on the right side, with an open window, was lucky … Despite the lack of photo opportunities the trip to here was not in vain, because we gratefully use the mobile toilet cubicle! 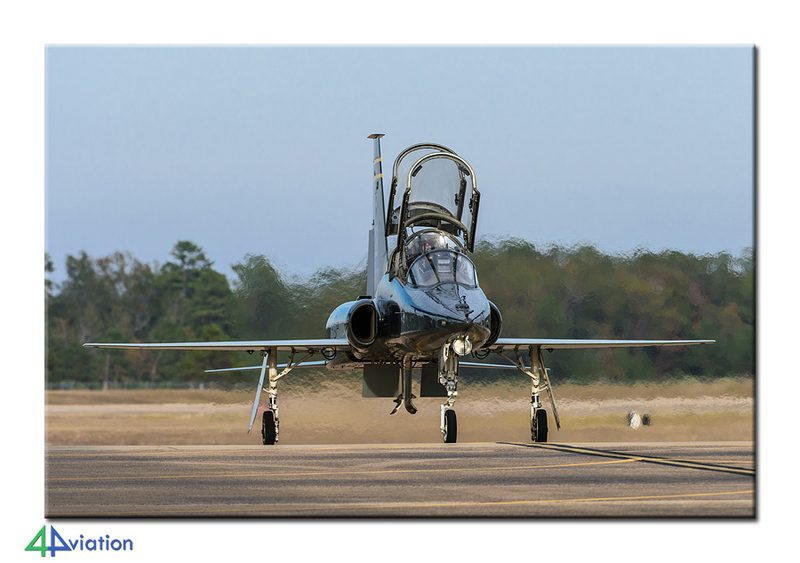 Despite that we could not remain longer near the runway, and access to the hangars, where we noted the tail of a rare US Navy T-38, was not possible, it was still an excellent visit which gave us many beautiful pictures and even more tailnumbers. It was getting a bit dark when we started our journey to our next hotel of the trip: back to Florida through the backwoods of Mississippi and Alabama. Refuelling was just successful before it became dark, but not finding a diner for 100 kilometres in the US is very exceptional! Just outside of Mobile in Alabama we finally found a Carl’s Jr. (burger “restaurant”) where we are immediately stopped. Very funny was the Briton in our group who could only jus understand the “southern Alabama” slang with great difficulty! It was now only a short drive to our hotel in Pensacola, including a short stop in the parking lot along Interstate 10 for a preserved Skyhawk. No time to waste on Thursday morning 10 November, as we were expected at the gate of NAS Whiting Field for our next visit at 7.00AM. Fortunately it was only a half hour drive from our hotel. 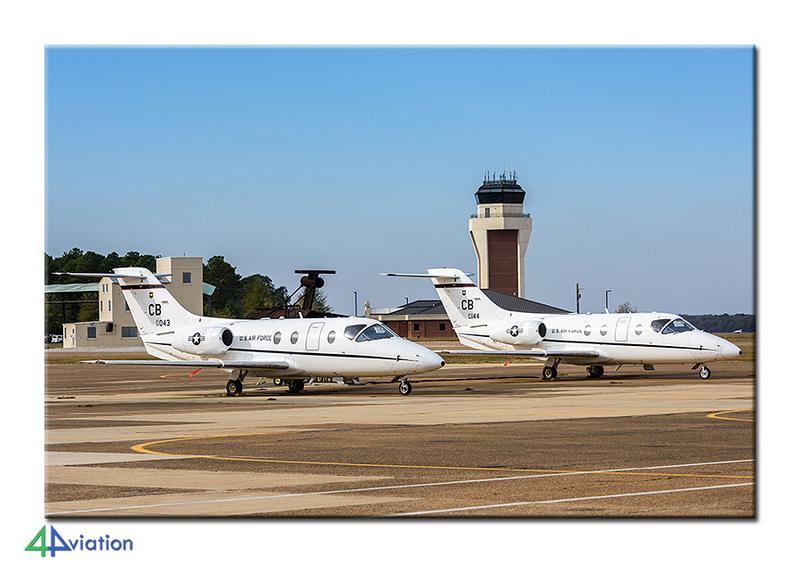 NAS Whiting Field consists of two airports, with T-6Bs in the northern airfield for fixed-wing training and the southern airfield for helicopter training with TH-57’s. It will take you a couple of hours to see and photograph everything, almost 250 aircraft in total, which was greatly facilitated by the base public affairs! Our guide himself had taken his camera and photographed his way around the ramps. 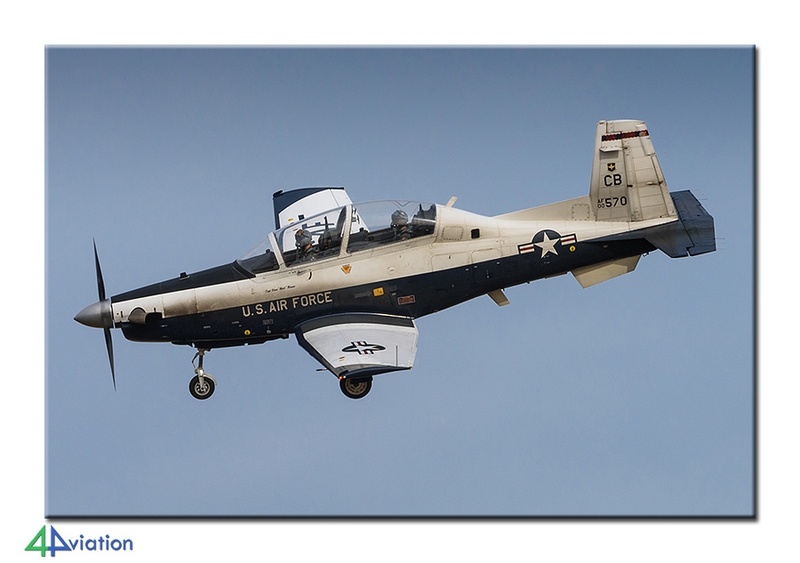 The weather was divine with blue skies and the low morning sun, which is fine for the T-6’s, but a problem for a portion of the TH-57’s due to backlighting. A lovely relaxed visit all in all, the only snag was our guide being put in his place by the hangar chef after he had given us (apparently incorrectly) permission to photograph a crashed TH-57. 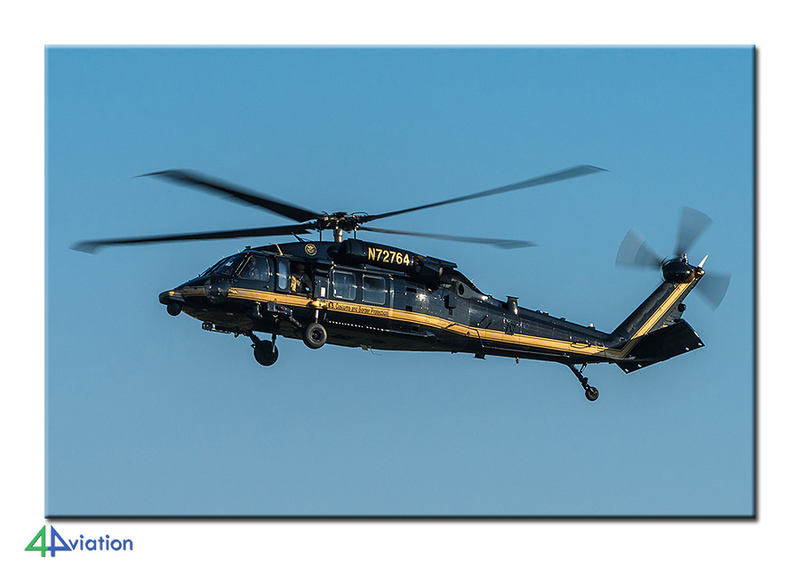 The pictures of the crashed helicopter were then dutifully deleted by us. After some preserved aircraft this great visit came to an end. 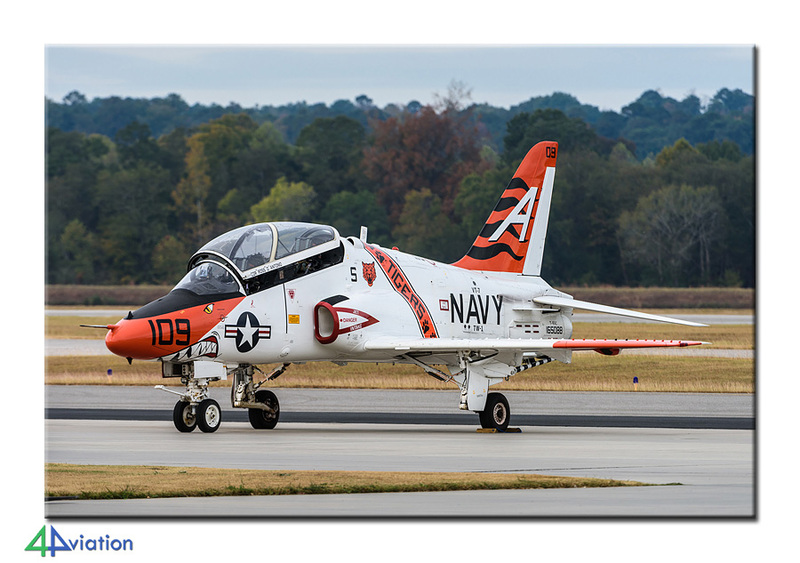 As if we have not seen enough trainer aircraft yet, several T-1 and T-6s from the Naval Station had appeared the aprons of the civil airport of Pensacola. This in itself is quite common, this way you practice flying from another (civil) airport, and can also fly weekends when your “own” airport is closed to local traffic. 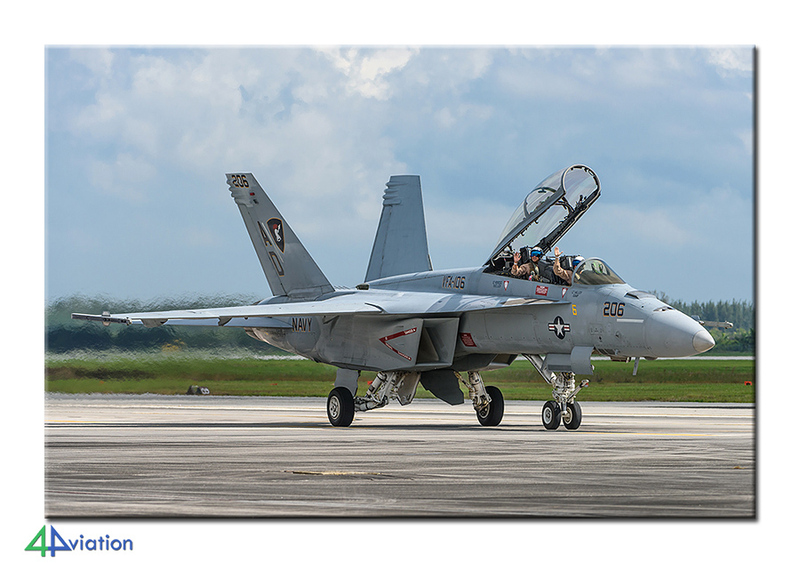 Moreover, this weekend was the air show at NAS Pensacola and a number of aircraft parked here. The civilian staff here are obviously accustomed to people at the gate, taking pictures was ok, but taking notes of the tailnumbers was not. 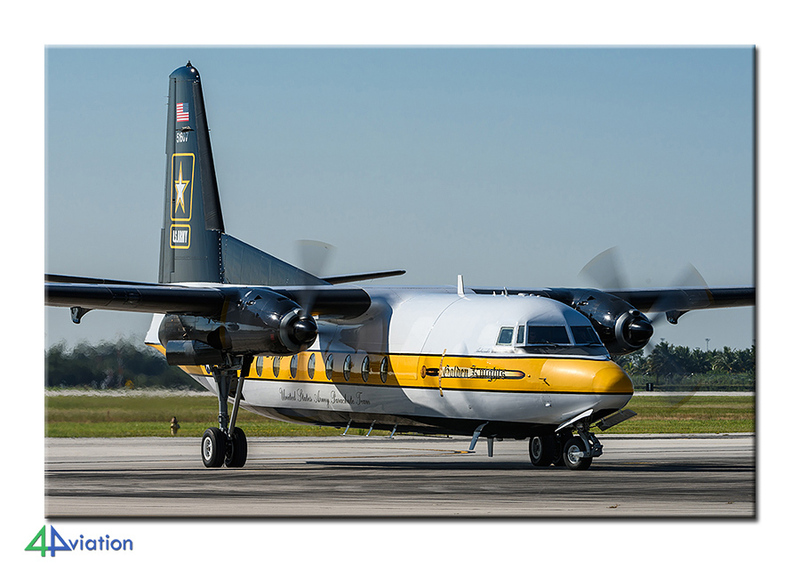 Okay … then we take pictures of every aircraft, a weird twist of mind, but keep it like that! We ended up driving around this airport due to a lost and eventually rediscovered pair of sunglasses almost two times… The rest of the afternoon offered a great challenge: the pre-arranged press passes for the air show should “just” be picked up at the public affairs office for which we obviously had to go on base. Unfortunately it was very busy at the ticket issue and it took our tour guide an hour to obtain a ticket. When it appeared that the other five occupants of our car also had to undergo the same procedure … we quickly changed plans! The five went outside the gate to score a late lunch and the tour guide went on his own and picked up the press cards. That went very smoothly in contrast to the fiddling at the gate. With a good feeling the five fellow travellers were picked up again. Which had in the meantime decided that they would like to go ‘quickly’ to the “USS Alabama Memorial” museum in Mobile, even though we were about to arrive very late in the afternoon. So it would be exciting to see if we could make it with the Coast Guard at Mobile airport no longer being a viable option given the time. Unfortunately, the hall of the museum literally was closed in front of our noses upon arrival. We could not change their minds. Very pitiful, and in the way it happened it was not very audience friendly, yet fortunate for us a reasonable part of the collection is out in the open. When leaving the premises, in the twilight, we were treated to a crew videoing a smiling woman play backing in a jungle outfit with the USS Alabama battleship as. 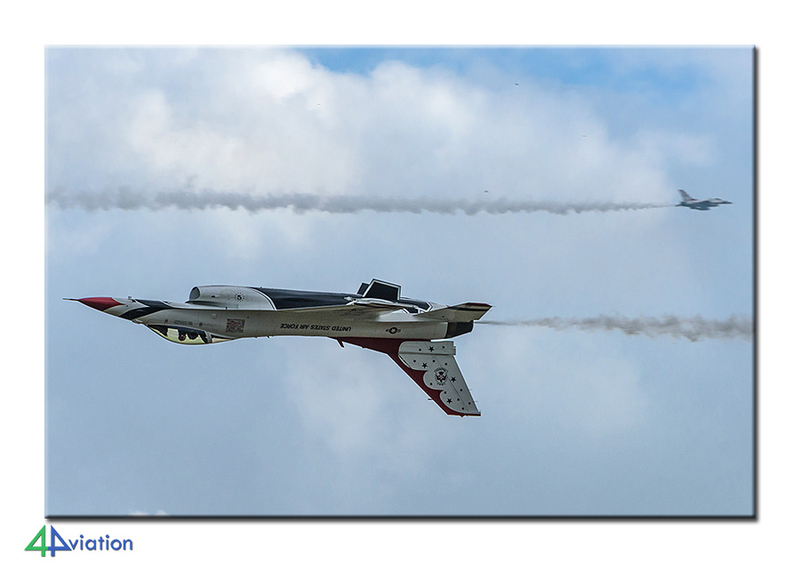 So … if you soon see such a scene passing on MTV or YouTube … 4Aviation was there! Friday 11 November, Veteran’s Day and thus a holiday for Americans. And also the first day of the “Blue Angels Homecoming Air Show 2016”. With our press cards we arrived early and could enter the airfield without a queue. We were looking for the press parking lot, which turned out to be ON the ramp, very handy! Because of the early hour we could photograph the static show without an audience. The press area was found to be no more than 1 meter high platform of 2 by 3 meters, mainly filled with the Blue Angel fan club. For the majority of our group this was the perfect place to attend the first day of the flight program. Also here the flight program was mainly warbirds and civilian stunt aircraft, with the only military participants being a USAF F-16 and of course the Blue Angels to close their 2016 season this weekend. 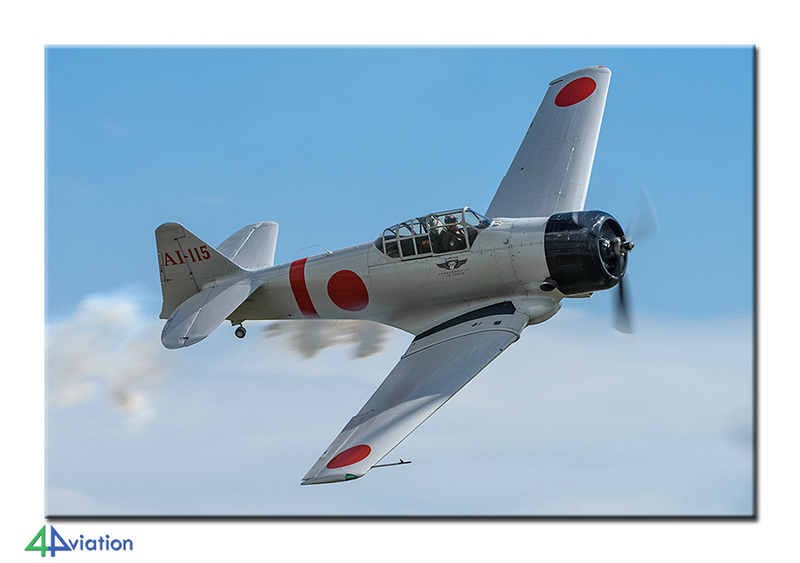 It is a bit disappointing that there were not even a couple of based aircraft displaying in the air, a few T-6s and T-45s would have been fine. Besides from that … the entertainment level was again high, and the American public welcomes it all, even if a Ferrari and Lamborghini are racing on the runway. 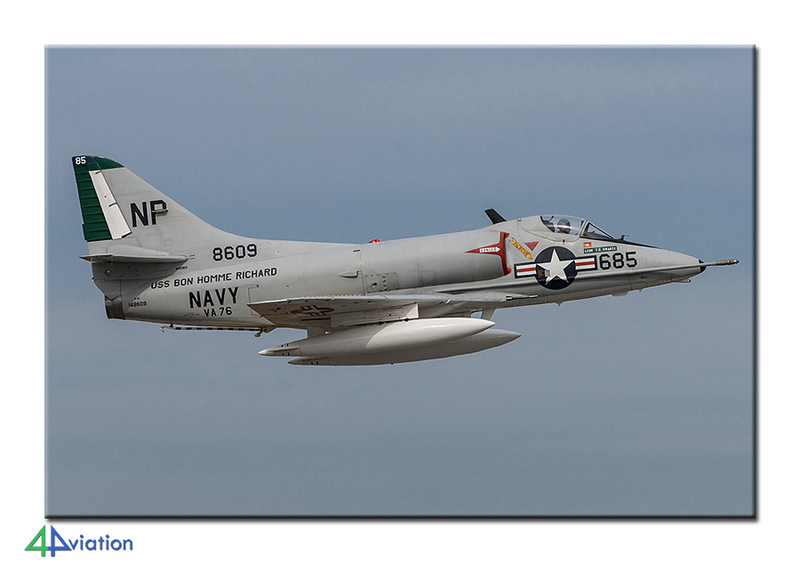 And “Shockwave” was there again … Warbird highlights were undoubtedly the flying A-4 Skyhawk and MiG-17. Especially the latter was very beautiful with its huge afterburner flames from the exhaust. Unfortunately, it had become cloudy and chilly cold in the course of the flight program, but that did not spoil the fun. 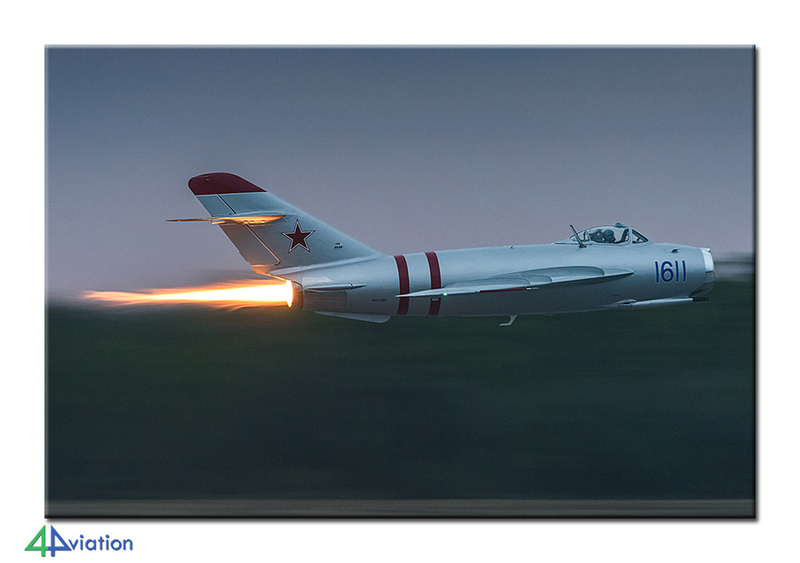 In the case of the MiG-17 it was even a plus since the afterburner was even more visible. The regular air show was closed by the Blue Angels, now the sun was missed again. Thus the day was not over yet, because there was also a “twilight airshow” scheduled. 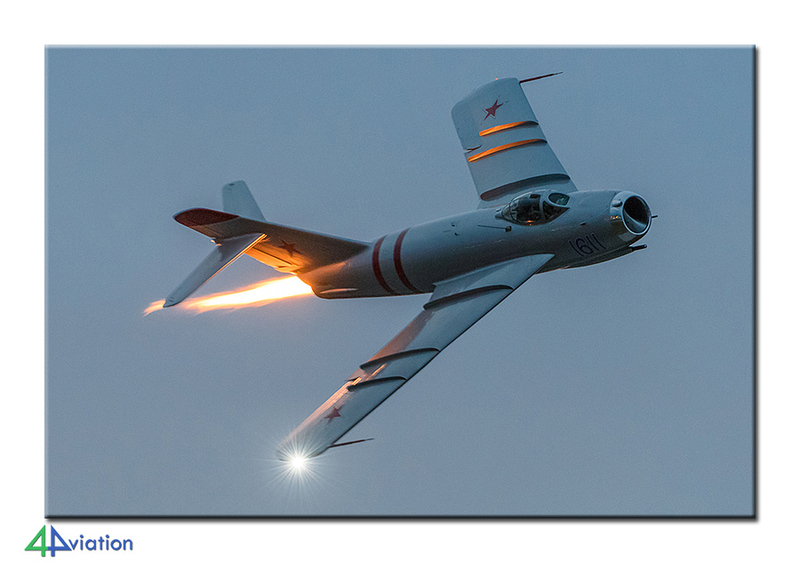 By the time it started to dawn several aircraft were back in the air, including, again, the Skyhawk and the MiG. Especially the latter was now truly spectacular with that huge flame from the exhaust. I was quite difficult to get some decent shots in the almost-dark, but absolutely worth it! Some aircraft, including a demo team of four Harvard, did their tricks even in pitch darkness, aided by strobe lights, smoke and flares. After the last performance of the day there was some music and fireworks. Unfortunately, the sound system broke down at that time and the fireworks were accompanied by mere hum and crackle. Cold but happy we left the base without traffic jams. Back at our hotel in Pensacola, the majority of the group fancied steak, and lucky for us there was a Steakhouse within walking distance. It was crowded and we had to wait outside for a free table, then it went smoothly as a train. Our waitress and manager were very rejoiced with international clientele, so much so that we are all were given a free bag of unshelled peanuts. But I must say … they were damn tasty! Saturday 12 November, day two of the Blue Angels Homecoming Air Show, with better weather in the offing. We were obviously back early! Inquiries, yesterday, with the Public Affairs officer had confirmed that, with our press cards, we were welcome to enter the ramp of the museum aircraft. Also present was an empty stand one of our party already “discovered” yesterday and today was going to be our hideaway. We had indeed no problems walking to the ramp and take our pictures. In addition to the museum aircraft, there were also two Blue Angel F-18s which were worked on, and some T-6s and T-45s, a nice bonus! Saturday morning was a great opportunity to visit the large museum, and therefore the group was present at the entrance when the doors opened. Some took their time here, others had more hurry to not miss the air show. The fact is that there i almost no other visitors inside, and the fact remains that it is a great nice and cool museum! Back on our private stand (!) the air show broke loose again, with more sun and now seen by us from a slightly different angle. We were now much more to the right and especially the aircraft that started to turn here were very cool to photograph. After the end of the last Blue Angels demonstration for this year the show was over (no evening today) and we walked to the static again towards the Coast Guard MH-60 that was parked on the other side of the ramp. It was about to depart, and from a (quite ridiculous) short distance we were allowed to witness this. The press cards proved, once again, their service! 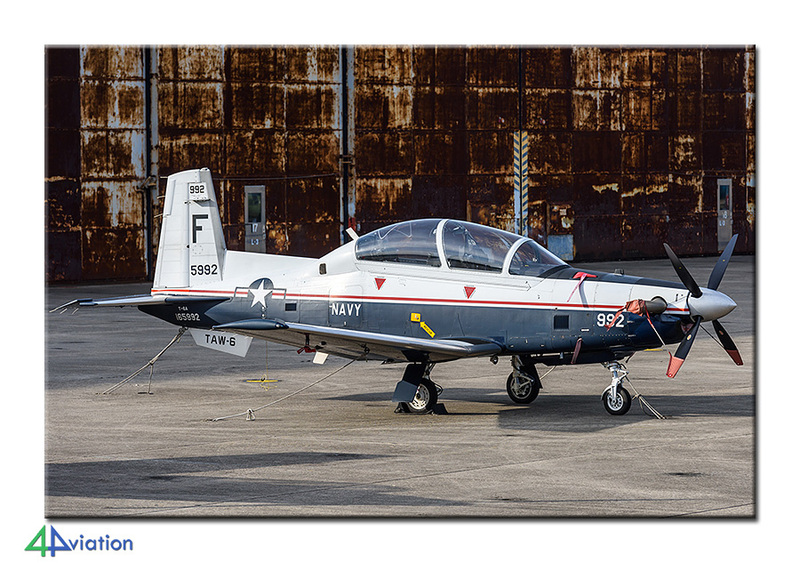 While most of the crowds had meanwhile left the airfield we walked to the ramp with the based Air Force T-1s and T-6s. 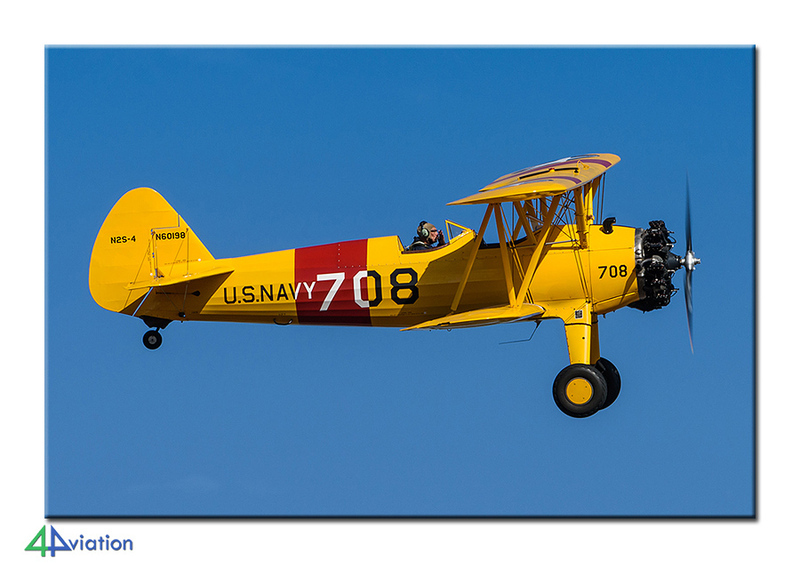 The Air Force now provides the navigator training for the navy, which is why there is one squadron based on Pensacola. Yet unexpectedly we could come quite close, which did not bring a lot of good pictures, but a full sheet of tailnumbers. And then it was “bye bye Pensacola,” the was pleasant again! While one man scored some fries at McDonalds, the rest of the group had an Italian dinner. But fast food Italian, of course, we are still in the States! Still tasted pretty good, with the Fanta peach flavour as a desert. De last day, Sunday 13 November, no shows or visits, but “just” drive back to Atlanta. Luckily we had the bigger part of the day so we could pass a few nice locations. To start again the civilian field Pensacola. 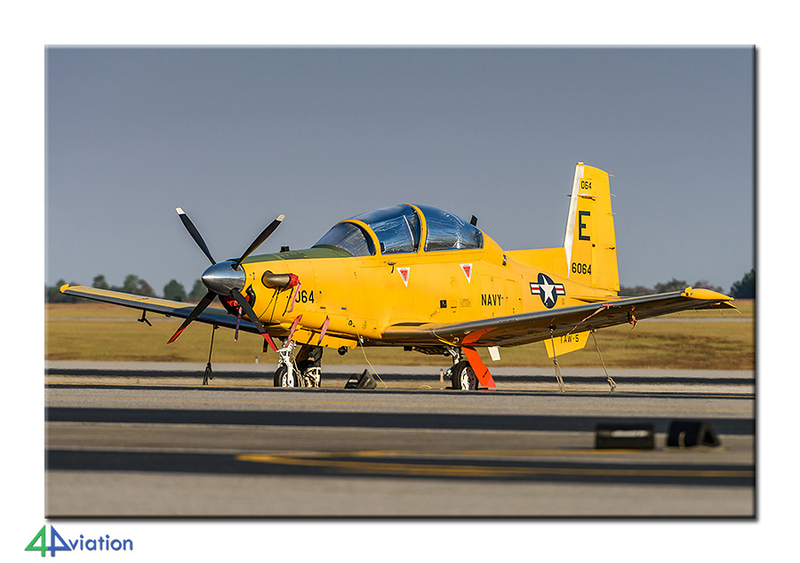 There were now even more military training aircraft, not only from NAS Pensacola, but also T-6s from Whiting Field and Laughlin AFB. The next stop was the gate of Hurlburt Field, unfortunately, the large collection of preserved planes is inaccessible to the public because it is located just inside the gate. After some negotiation at the gate we got just have permission to shoot a couple of pictures from outside the fence. Way more accessible is the USAF Armament Museum outside the gate of Eglin AFB, though closed on Sundays, most is accessible outside. Here we entertained ourselves for an hour before drive relaxed northeast. Via a T-33 (brief panic here because the car keys were left behind in the grass somewhere) and an F-16 on a pole, we arrived at Montgomery Dannelly Field, home of the Alabama ANG F-16s. Unfortunately there was no activity this Sunday (you can always hope) and we had to make do with a few registrations, and a Phantom and Thunderflash at the gate. Because we were in a bit of a hurry, we managed to miss the preserved F-16 just inside the gate ANG … Well … better next time then. Also at the other military airfield of Montgomery, Maxwell AFB, we briefly stopped for reading a couple of C-130’s. There was no more time, but photography was not impossible anyway. On to Atlanta. With only vapor in the fuel tank (we were supposed to return the car with an empty tank again … and it worked!) we like our British fellow traveller at his hotel, and we returned the car. As difficult it was to get the ca, so smoothly it went handing it in. After an overnight flight the remaining five passengers set foot on Dutch soil without problems, the next morning. Bye bye US, it was, again, pleasant and very successful! Even een mailtje om aan te geven dat ik genoten heb van de trip naar Orland. Fantastische foto’s kunnen maken.